S10-L Long Vinyl Strap Clip. 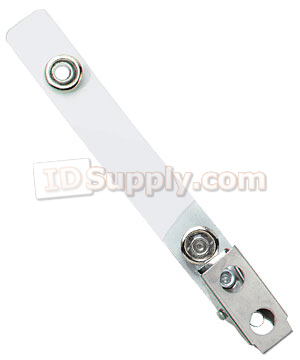 This strap has a 3/8" diameter snap. The strap is made of clear vinyl and is 3-1/2" long. When you need the extra length for more than one card. The strap will pass through the slot made with our slot punch or the slot in our badge holders.